Just for the heck of it just though to throw up some stats for the heck of it. Active-shooter incidents around the U.S. fell slightly last year, but they remained at the second highest level since 2000, according to new data from the Federal Bureau of Investigation. Deadly incidents in 2018 included the shooting at a Parkland, Fla., high school, the shooting at the Tree of Life synagogue in Pittsburgh and the Borderline Bar and Grill shooting in Thousand Oaks, Calif. In total, there were 27 incidents around the country last year, leaving 85 people dead and 128 wounded. That compares with 30 shootings in 2017, the deadliest year in the FBI’s records. Between 2000 and 2018, there have been 277 active-shooter events, which have killed 884 and injured 1,544, according to the FBI. These shootings have taken place in 44 states and Washington, D.C., in churches, workplaces and neighborhoods, and at all hours of the day. After the 2012 Sandy Hook Elementary School shooting, the FBI began tracking active-shooter events to develop new ways to prevent, prepare for and respond to these incidents. The agency also compiled some historical information back to 2000. The bureau defines an active shooter as “an individual actively engaged in killing or attempting to kill people in a confined and populated area” with firearms. In some of the incidents the FBI includes, there are no casualties. By examining all of the events, the FBI said it has found that many shooters signal impending violence before the attack. These behavioral patterns have shed light on how ordinary citizens and law enforcement can respond to future attacks and even how they can intervene before they happen, said Mr. Blair. So would a gangland spat in which a guy attempted to take out a couple of members of a rival gang be considered an active shooter event? 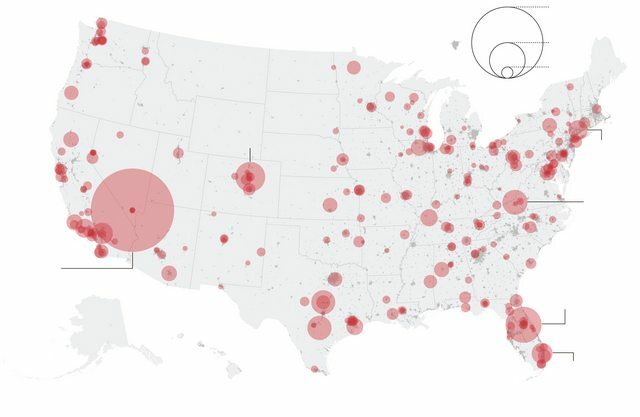 Most shootings took place in businesses, schools and workplaces. In over half of the incidents, the shooter chose the location specifically to target at least one of the victims. Others’ motives are unknown. Two law-enforcement officers were killed in 2018 in active-shooter incidents, and six were wounded. Looks to me like America is bleeding to death from gun violence. Hey...but what's 30,000 dead a year when you have 300 million? that prompted the question - how does the gang murder not qualify? Most gang shootings have specific targets, and by-standers are generally not targeted. Once the intended target has been dispatched, the shooters pack up and go home, and by the time the police hear about it, it is no longer an "active shooter"
Most of the incidents mentioned here, shooters are going after random targets and don't stop until they run out of ammo, or targets, or are neutralized. It was the that prompted the question - how does the gang murder not qualify? The original article is behind a paywall. How about a direct link to the FBI site where the data can be found?